ESPN columnist Greg Growden takes a trip down memory lane as Dan Carter and Richie McCaw prepare to wave goodbye to the Crusaders and Super Rugby. It was one of those polar Christchurch mornings where it may have been sunny but there was still no reason to be outdoors. The Crusaders were at a suburban ground finishing off their last training session before the weekend's Super Rugby finals, and the players were using every excuse to disappear early. It was too cold to prolong any unnecessary activity. Some made out that they had suddenly twinged their hammies. Others were carrying on about requiring a rubdown. Several just wandered off downstairs to the change rooms in search of a reviving bowl of scorching pea and ham soup. In the end, there were two figures left on the field. Daniel Carter and his coach Robbie Deans. For the next half-hour or more, the pair was involved in a master class of kicking drills. Carter situated himself at various spots around the ground, on the halfway mark, near the sideline, somewhere in between, close to the goal sticks, constantly moving. He then practiced every form of kick imaginable- the chip kick, the bomb, the kick into the corner, the infuriating ever bouncing this way and that kick, the banana kick, the cheeky chip in behind the defensive line, the box kick and then some goal kicks. On and on and on. Deans was the ever-willing sheep dog, wagging the tail by retrieving the footballs wherever they went and kicking them back. Usually this job is for the team lackey, but Deans was oh so smart. 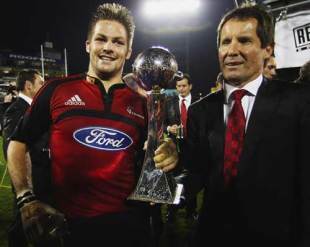 Carter was his meal ticket, the man who would in a day or two determine whether he could boast another Super Rugby title, and so he was willing to do whatever he could to ensure that the team maestro was in tune. By the time the pair left the field, the rest had gone home. More than 48 hours on, this pair was arm on arm celebrating a title. Yet again, Carter had kicked the Waratahs into oblivion. MacKenzie Country in North Otago on New Zealand's South Island is S-P-E-C-T-A-C-U-L-A-R, repeat S-P-E-C-T-A-C-U-L-A-R.
A few years ago the family were camper-vanning its way along the memorable bush tracks from Christchurch towards Queenstown and then up to the Wild West Coast. When heading towards our designated overnight stop at Omarama, not just the ever-changing scenery, the lush environment entranced us, but also all these specks of white above us. Wherever we looked were state-of-the-art gliders cruising over the countryside, tranquilly floating above the mountains, dipping its wing towards another pasture and then off to a far away valley. We were in glider heaven, as Omarama is known worldwide for boasting exactly the right conditions, winds, landscape, thermals to lure the best, especially during those summer months. This is where the gliding aficionado comes. That night, we headed to the only pub in town, lured by the pork belly, lamb roast and kumara. Behind the main bar, the publican peered up and down at the Australian strangers, and said: "You've just missed Richie." In New Zealand, 'Richie' means only one thing- Richie McCaw. "He had something to eat. He was famished. He had been up there all day," the publican said pounding out every word in a staccato rhythm while pointing toward to the sky. The McCaw family farm in the Hakataramea Valley is just down the road. They all knew him. He loves gliding, is expert at it, and this is where he finds peace. That day, he had been above us most of the day. Back on earth, he was just another local. "He's got it sorted out," the publican nodded. In a city consumed by AFL, even a Bledisloe Cup match can struggle to get much attention in Melbourne. Media interest towards rugby in Melbourne is pretty scanty, as shown by usually the work experience kid at most paper, radio and TV stations getting the 'short straw' and having to cover the rugby Test when it's in town. But it was different a few years ago, when the All Blacks announced that Daniel Carter was available for a midweek interview. Some notable AFL writers lobbed at the luxury midtown hotel to discover what all the fuss was about this certain Daniel Carter. Yes even Daniel Carter is known in Melbourne. He responded to being gawked at. He listened intently. He talked quietly. He provided authoritative answers to sometimes really dumb questions. Then he slipped away. The Melbourne media heavyweights were impressed. "Geez he's intelligent," says one, as if it was a crime for a footballer to have that asset. The New Zealand army invaded the 'G' that weekend. The All Blacks won. 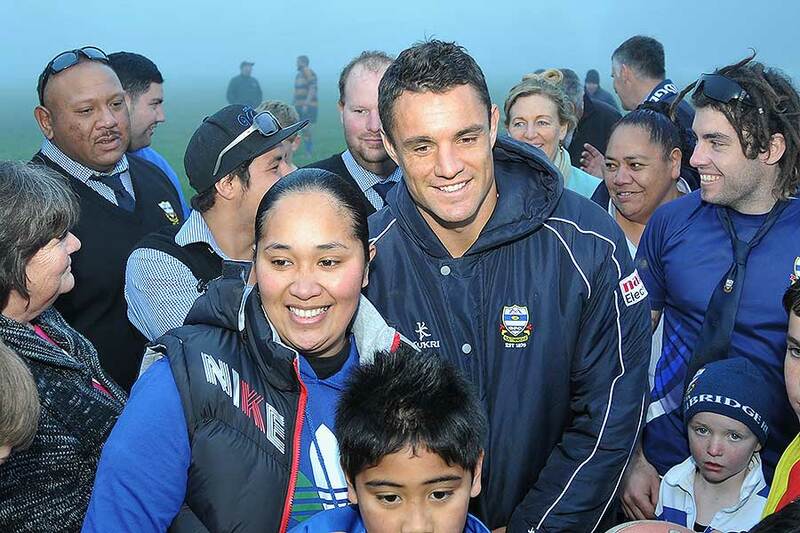 When the All Blacks are playing at home, there is a 'catch whoever you can' media all-in midway during the week. Usually every player is available. The Australian media contingent naturally gravitates towards the All Blacks captain - as it is a rare opportunity to find out what a man who is often cocooned away really feels. For decades, All Blacks players have had a reputation of being tough, grim, almost faceless men. All Blacks coaches were even more renowned for being grim, refusing to give away anything. After all, their 1995 World Cup coach Laurie Mains was for a time known as 'Lugubrious Laurie.' But John Hart changed all that. He once asked the Australian press who of their players they would like to speak to. We screamed in unison 'Jonah Lomu'- a not surprising request because for years he was placed off limits by the Mains regime. Hart walked across the Wellington hotel foyer, brought Lomu to us, and we were provided with one of the best rugby interviews, discovering the humility and humour of the man. And Lomu loved every second of it. McCaw is more used to having Australians around him, because of his never-ending involvement in Super Rugby triumphs and Test encounters. Like Carter, he is forever polite, forever alert, but careful in what he says. He knows how a word said out of context can lead to damning headlines. So he knows how to bob and weave. You cannot begrudge that, because he comes across as a genuine person, a genuine Kiwi, someone who is delighted that he has special skills, but doesn't believe that gives him any reason to be either a big head or boofhead. And the respect for Australia is there. Like Carter, he never says a bad word about his trans-Tasman neighbours- either during the Super Rugby season or when the internationals take prominence. He understands everything about the bounce back. His sentences are forever cautious, his statements having its fair share of 'ifs and buts', yet we still go away with enough gems to keep our sports editors at bay. You go to the record books. Daniel Carter has a 77% success rate over the Wallabies - an 88.7% success rate over all teams. 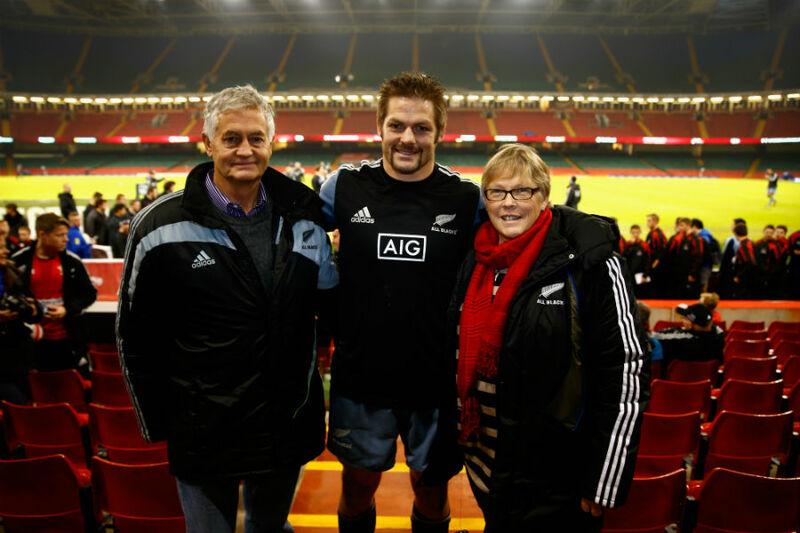 Richie McCaw has an 82.3% success rate over the Wallabies - an 89.05% success rate over all teams. Frightening figures. Not too many Wallabies or Australian Super Rugby performers can boast constant conquests over Carter and McCaw. Without them on our Super Rugby radar, Australia will suddenly no longer have to come up with some counter to a No 10/12 they have admired the most for so long, and an openside flanker, who has endlessly infuriated them because just like that glider over Omarama he knows exactly when to dip his wing and float away out of trouble. Not every New Zealander is admired in Australia. But these two are. They will even be missed on this side of the ditch.